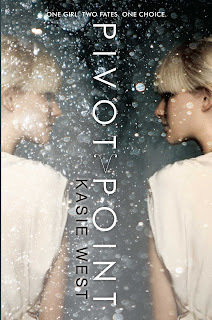 Today I’m excited to interview debut author Kasie West about her book, PIVOT POINT, which releases on February 12, 2013. I loved the two alternative worlds—the compound where people have special abilities and then the other “normal” one where no one has any powers—that Kasie created. And Addie has a fascinating power as a Searcher where she can see the different futures a choice could lead to. Immediately, Kasie shows us Addie’s problem and I was riveted reading the story, wanting to know what she’d do. I let my daughter read this too. She finished it on Thanksgiving Day and said "I need the sequel. Today!" Hi Kasie. Thanks so much for joining us. Thanks for having me. 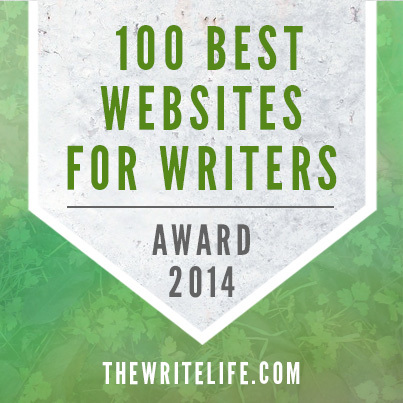 How I became a writer…It’s kind of a boring story. I love to read. The end. J Okay, not so simple. I do love to read. A lot. Which is something that definitely hasn’t changed. I dabbled a little with writing in high school, but like many high school students (or maybe just me) what my friends were doing dictated my life more than anything. And some of my best friends were in drama, so I focused more on that and didn’t explore things that seemed to peak my interest (like writing). I had a very encouraging creative writing teacher, but I didn’t explore it too much until well into adulthood when I decided to give it a go. I’ve written several books that were horrific. I got better with each try and finally wrote Pivot Point. 2. I love to read too. I hope it results in a fantastic book like yours. How did you come up with the idea of the alternative worlds of the compound and our normal world and how did you decide on the different special abilities Addie, her friends, and family possess like seeing futures, being persuasive, being a human lie detector, and being able to erase memories? The idea was triggered by the movie Sliding Doors. I wrote the idea down in a notebook but was working on something else and didn’t even start writing Pivot Point until about a year after I had the original thought. As far as the abilities, I brainstormed different things a mind might have control over. Abilities that would be useful and cool. I started listing out all sorts of different abilities and chose my favorites. 3. One of the things that kept me turning the pages was reading about Addie’s life in both worlds. I’m curious about your writing process because there’re two distinct plots that you expertly weave back together. Did you plot it all out and how did you keep it all straight? I actually wrote them as two separate books at first. So even though they are alternating chapters in the final version, while I was writing, it was a continuous story on each side. But as plots started to come together, I realized I needed to put the stories together so I could weave the plots a bit. So about half way into the story, I recombined the two, and wrote the rest in alternating chapters. It was difficult but at the same time it helped me know what had happened in each world as I wrote it so I knew what the reader would know and what Addie wouldn’t. 4. That's amazing that you started out with two separate books before combining them. I liked Addie right away. She’s so smart and sassy. What part of you is in her and what were the challenges in creating her, especially in showing her in two separate worlds? Addie and I aren’t very similar. Although we do have the same inability to think before we speak. You nailed what the hard part about writing her was—portraying her in her element and then out of her element. The subtle differences she would have being in a place she was familiar with versus a place she was unfamiliar with were a challenge to write. But it was really fun to explore what would stand out for her in our world and how she would react. It was also fun to explore how she was different in the two different relationships. 5. I bet it was hard, but you did a great job with it. Which did you enjoy writing about more—Duke or Trevor—and why? Ha. That’s a loaded question. To be honest, Duke was easier to write. He has this charisma that really came alive to me. And he’s such a flirt. I like to write flirting scenes. Trevor is so much more reserved and it was hard to get to know him. But once I did he melted my heart. 6. I would have guessed Trevor was easier. Maybe because I like him so much. Your agent is Michelle Wolfson. 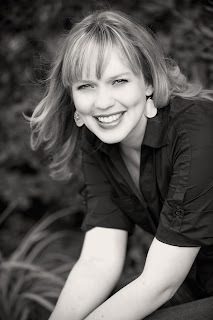 Share how she became your agent and your road to finding your publisher. Aw, just seeing her name in this question made me smile. I love Michelle. I couldn’t have found a better agent for me. Michelle is actually my second agent. I parted ways with my first agent and then queried Pivot Point. I was super slow and methodical when I was querying because I wanted to make sure my query and book were in the best shape possible. So I only sent 2-3 queries a week for a while. So I had been querying several months before it landed in Michelle’s inbox. She requested it right away and read it right away too. When she offered rep, another agent did as well. I had connected so much with Michelle through our phone calls, though, that I knew we were the right fit. We went on submission and about three months later we had serious interest from two houses. And again, much like with Michelle, I really connected with my editor, Sarah Landis. I felt like she understood my writing, but also that she had great insights and questions that pushed me as a writer. 7. That's great that you connected with Michelle. Especially after parting ways with another agent. I'm sure that must have been hard. You are still about two months away from your release date. What are you doing pre-publication date to market your book and what your plans for when your book releases? 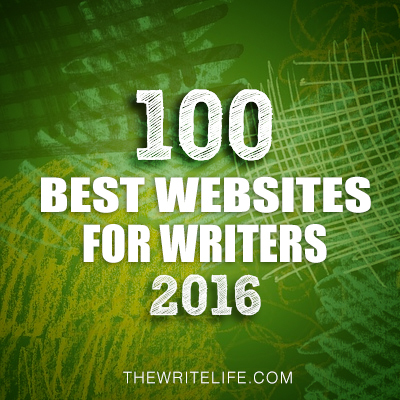 Have you made any marketing decisions based on watching other authors you know debut? Marketing. Sigh. I’m not that great at it. I’ve done several interviews like this one and have been sending my ARCs into the world. I’ve been trying to be more consistent on my blog and twitter. I’m so bad at promoting myself though. I’m shy by nature. And my friends will roll their eyes at that because they think I’m outgoing and loud in a group setting. I’m that too. I know that seems like the biggest contradiction, but when it comes to talking about myself or my work I get really really embarrassed. It’s easy to be fun and loud but hard to open myself up. Does that make sense? So anyway it’s a growing process for me, this whole marketing thing. As far as once my book comes out, I have a launch I’ll do here in my hometown, Fresno. Then I’ll be traveling to Utah for a launch in my “second hometown”. While there, I’ll also attend LTUE. And I’ll end that week down in Oceanside, where I’ll be signing with Kiersten White at her launch of Mind Games. So that first week will be super busy, but after that, I’m not sure what my publisher has in store for me. 8. I'm shy too. So it's good to see that you can be shy and still market your book. 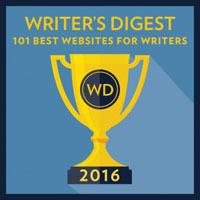 What advice do you have for us aspiring authors? Keep writing. Keep reading. I honestly feel like persistence is key in this industry. 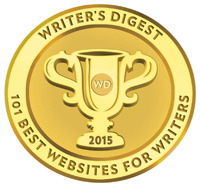 If you just keep writing and keep learning and keep going, it will happen. If this is something you want, don’t give up. 9. That's great advice Kase. And being persistent is something we can all do. What are you working on now? Thanks Kasie for sharing all your great advice. You can find Kasie at: Blog & Twitter. 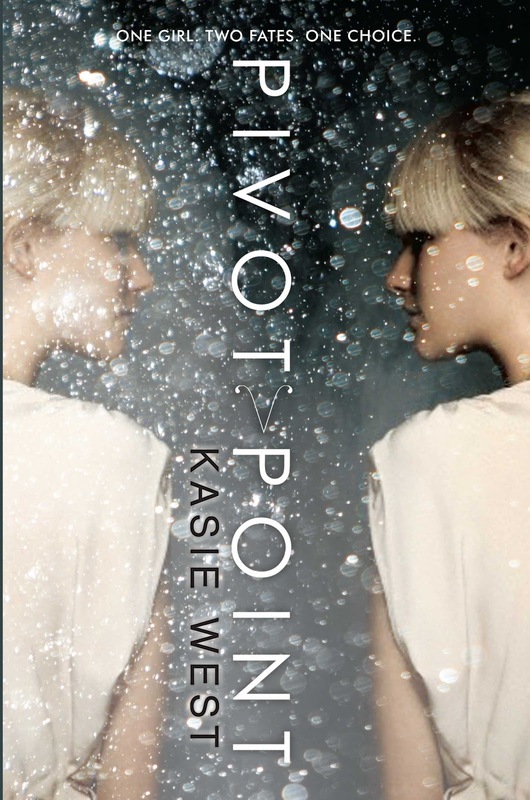 Kasie's publisher generously offered an ARC of PIVOT POINT for a giveaway. To enter, all you need to do is be a follower (just click the follow button if you’re not a follower) and leave a comment by midnight on December 15th. I’ll announce the winner on December 17th. If your e-mail is not on Blogger, please list it in your comment. Tomorrow I'm doing my annual Holiday Hop Book Giveaway. I can't wait for you to see all the great choices. Next Monday, I'm interviewing, Adam Quinn, Susan Quinn's son for my ASK THE EXPERT series and giving away a copy of MAGISTERIUM by Jeff Hirsch, a fantastic dystopian/fantasy story. Next Wednesday, I'm participating in THE FALLING KINGDOM blog tour. It's a new fantasy by Morgan Rhode about four teenagers whose lives are intertwined in a world filled with magic, bloodshed, and political intrigue. I can't wait to read it. 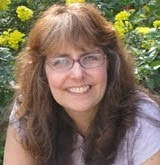 The following Monday Laura Pauling will be sharing her advice and giving away a copy of her new middle grade book, HOW TO SURVIVE ANCIENT SPELLS AND CRAZY KINGS, an adventure story set in the Mayan ruins of Tikal and involving skeletons from the underworld, a backstabbing princess, and an ancient prophecy. I love anything dealing with the Mayans so am super excited about this. And don't forget Casey's Tuesday Tips and agent spotlights on Thursdays. Yay I love Kasie and I loved Sliding doors. Can't wait to read this book. I love the idea of a paranormal compound. That is so intriguing. I agree with you about persistence being the key in this business. I'd also add believing in yourself, because if you don't, who will? It was great meeting you, Kasie. Oh wow, this book sounds like exactly the sort of thing I love to read! Nice meeting you, Kasie! Such an intriguing spin! Love the sound of this one. This sounds so cool. It would be so great to look into the future to pick which path you should set yourself on. I love the concept of this novel! Great interview! Great interview! And I love how you took the two books and combined them. The novel sounds fantastic! Love the idea of this book! I've been hearing about this book for a while. It's a wonderful premise. Thanks for the interview, Natalie! :) And I'm so glad that your daughter liked it. That makes me smile. How old is she? What a fascinating premise! I'd love to win a copy of this. Enjoyed reading the interview. I want this Arc, Pivot Point's premise is so intriguing. Great interview Kasie and Natalie! Love the cover and the concept behind this book! I can't even imagine how hard it would be to blend the 2 plots! That's such a cool concept. I bet it gave you a few headaches trying to get it to work smoothly. I can relate to your contradictions. There are many people who come off one way but are really shy deep down. I've always said I'm glad I can't see the future. Wow - interesting premise. I've been sitting here trying to decide what I would do if I had to make a decision with that much information about the future. Tough one!! Would love to read this!!! Kasie is awesome! I've been following her for a long time. I can't wait to see this book on the shelves!! I like the concept in this novel. It sounds intriguing. This sounds like something I'd like to read, the whole looking into the future thing has always fascinated me. 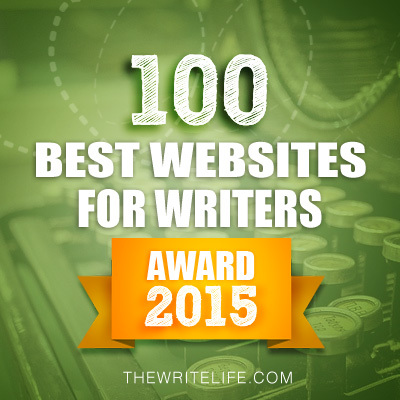 Kasie is a wonderful critiquer and supportive fellow writer. This book sounds exciting! By the comments, I would say she has a great support system too. Great interview, Natalie! Wow! Pivot Point sounds awesome! This was a really good interview. I'm so impressed with Kasie for writing two books at once then integrating them together! I don't know if I've ever wanted to read an ARC so badly! Thanks for the giveaway, and good look Kasie! This book sounds intriguing. Can't wait to check it out. Tweeting and Facebook about this contest and sweet new novel. ~swooon~ I've dying to read this one so bad! Love the concept for this! Great interview, I can't wait to read this book!! This book sounds really good and looking forward to reading it!! The cover is pretty amazing and the concept sounds intriguing.